Use CB32 for DB104 male or female connectors. This board comes without connectors installed. Users should supply and may easily solder in one vertical male or female connector on each board, as needed. 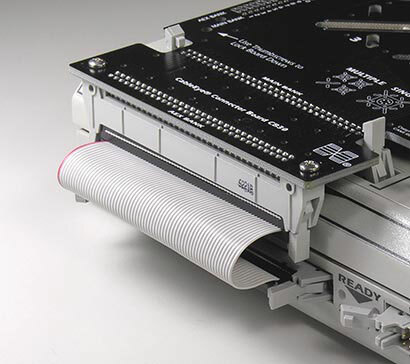 CAMI Research will solder in connectors provided by the customer if desired, in which case a set of test cables should also be provided so that we may test the interface before returning it to the customer. Set of two boards with expander cables. Requires 256 test point or greater CableEye system. 1 - CB32 is shipped without connectors installed as shown here. 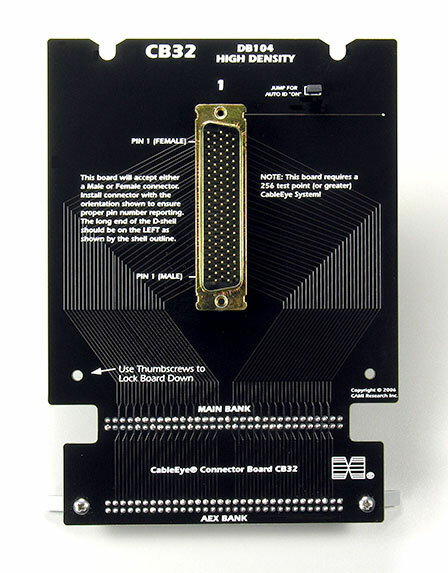 2 - The board appears as shown here with a DB104 HD male connector installed. 3 - Connecting the CB32 to a 256-TP CableEye System. A CB30 appears here, but the connection method is identical. 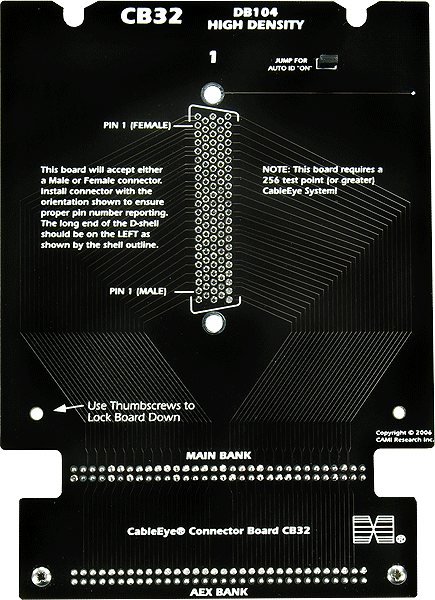 One 64-conductor expander cable is included with each board.